I find that people are divided on the issue of cauliflower. You are either on Team Cauliflower, or you are really not. 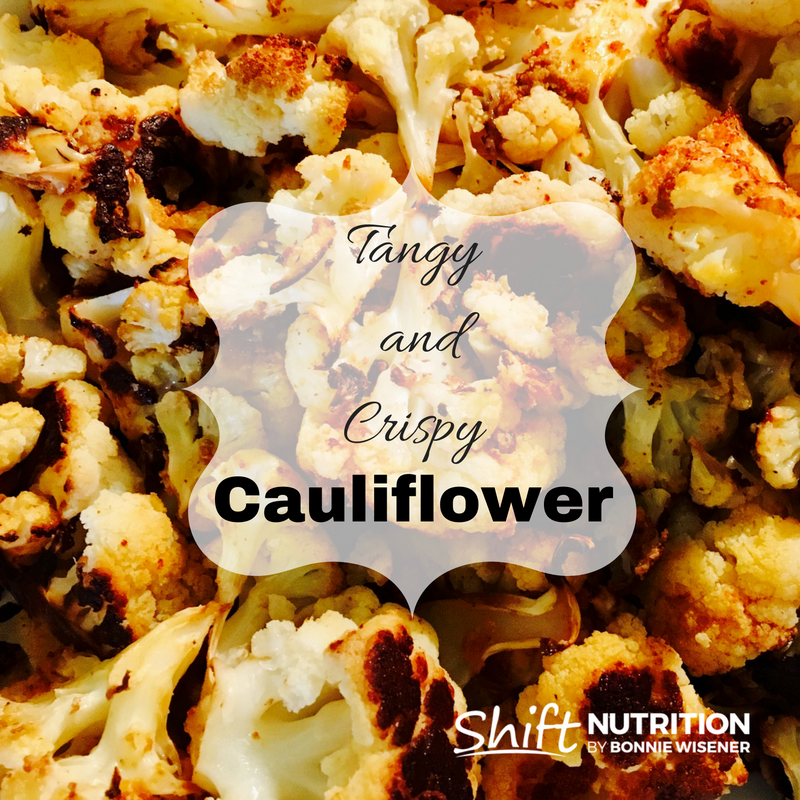 Did you know that one serving of cauliflower can give you 80% of your daily Vitamin C! I am the Captain of Team Cauliflower. Love the stuff. Steamed, baked, bring it! This recipe was inspired by the tangy taste of Dorito’s style chips. Hope you like it. Place washed and dried cauliflower into a large bowl. (make sure the cauliflower is totally dry). In a small bowl, combine all of the seasonings. Pour oil and seasonings over top of cauliflower in large bowl. Mix thoroughly to ensure most florets have enough seasoning. Bake for 1 hour. Cauliflower will get darkened. TIP: If you like it crispy, make sure that the cauliflower is totally dry when you start. The longer it stays in the oven , the crispier it gets. NUTRITIONAL YEAST – A NUTRITIONAL POWERHOUSE! Nutritional yeast is often used as a cheese replacement in recipes. It’s cheesy taste and creamy texture make it almost unrecognizable. However, this nutritional powerhouse should stand loud and proud. 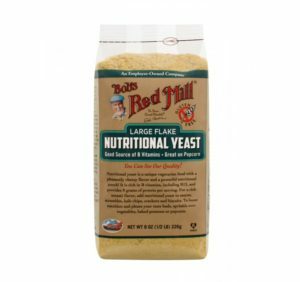 Nutritional yeast is not the same as the yeast that you use in baking. Nutritional values for nutritional yeast vary from one manufacturer to another. On average, two tablespoons can yield up to 4 grams of fibre, 9 grams of COMPLETE protein, and B vitamins. Some brands are fortified with B12. The fact that it is so high in non-animal protein and is often fortified with vitamin B12 makes it a popular staple in vegetarian and vegan diets. 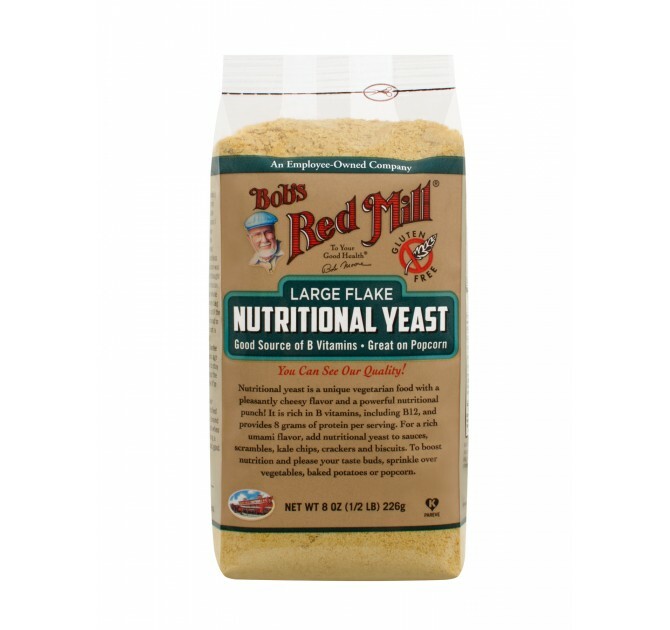 One of the brands that I usually use is Bob’s Red Mill. It looks like this, and can be found at any health food store. Try it. Other uses include anything you would use parmesan cheese for.